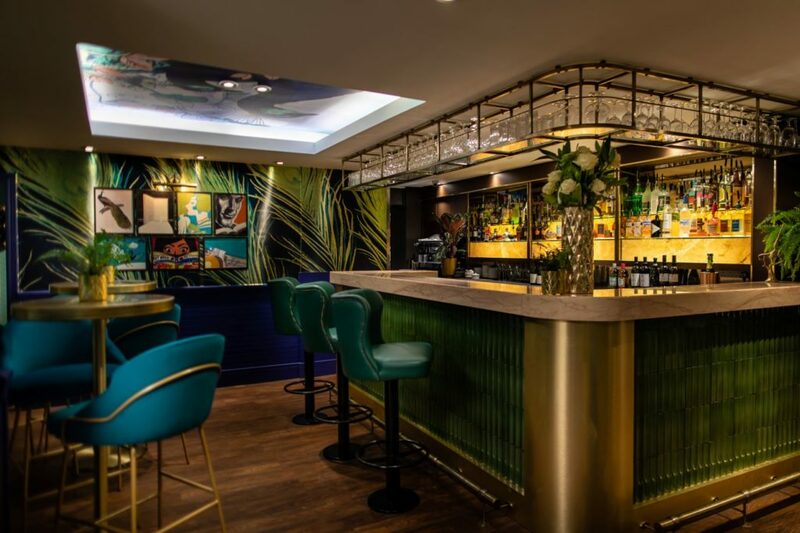 Award-winning restaurant Chapter One in Orpington, Kent, has been closed for a major six-figure refurbishment and now sees chef-patron Andrew McLeish and business partner Marcel Faulstich unveil a more modern approach with greater variety and quality. Building on the site’s history as a popular place to dine and entertain since the 1930s, the new playful and confident interior created by Sherliker Design, whose clients include the French Laundry, RAC Club and the Corinthia Hotel, is inspired by the sophisticated elegance and convivial atmosphere of a bygone era. 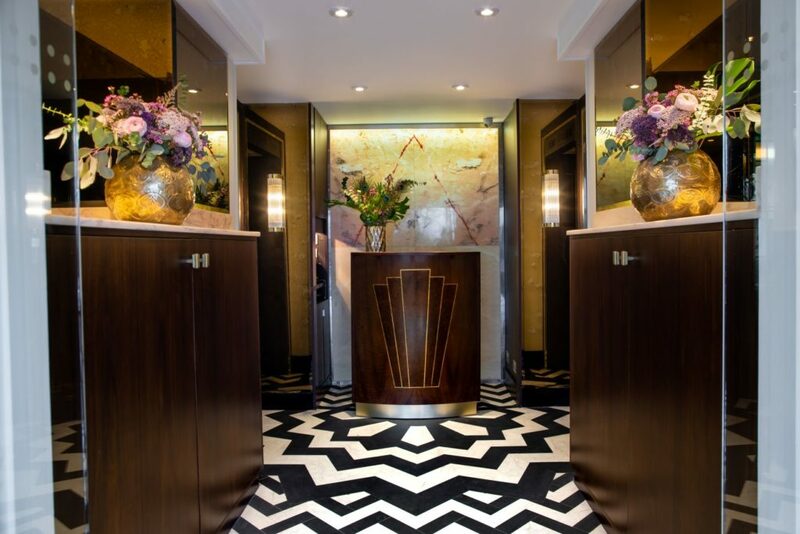 Stylish Art Deco influences and luxury furnishings include a bespoke reclaimed wood reception desk, monochrome sunburst design flooring and an eye-catching bar made from Portuguese pink marble. An all-weather terrace with comfy banquette seating features a retractable roof and outdoor heating for year-round dining. In the kitchen, McLeish and his team, led by head chef Dean Ferguson, continue to offer exceptional quality with regularly changing, seasonally-inspired modern European cooking. 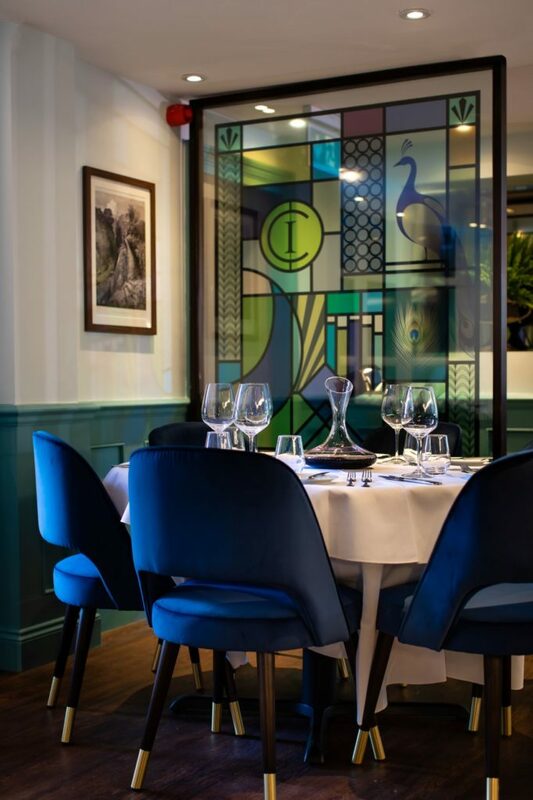 Classic dishes like Gin Cured Trout, Josper Grilled Australian Grain Fed Rib Eye Steak and Tarte Tatin are served in the restaurant, where a refined dining experience offers the ideal setting for special occasions and corporate entertaining. Chapter One’s relaunch is the first major development since Andrew and Marcel Faulstich took ownership of the restaurant in August 2017. Having been a part of Chapter One’s story for nearly 20 years, Andrew is excited about breathing new life into the restaurant, he says, “The relaunch is an opportunity to showcase the versatility of Chapter One’s offering. 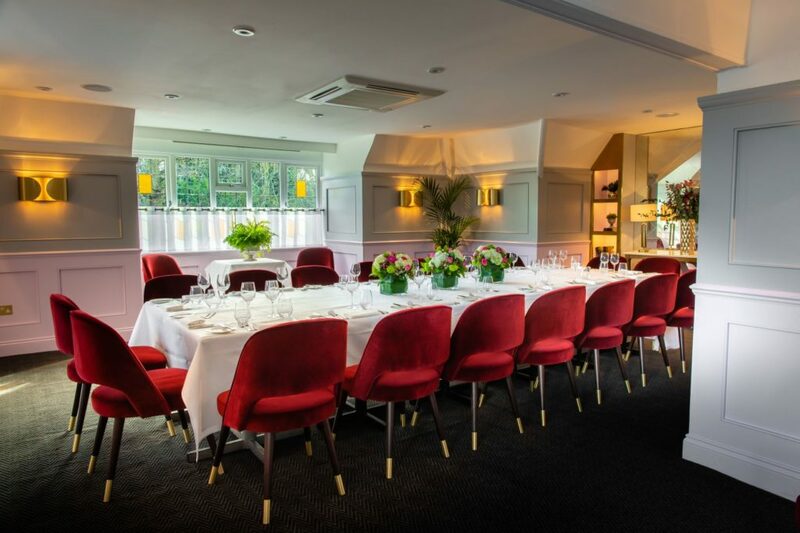 “Whether it’s entertaining clients, celebrations in the private dining room, a quick lunch in the brasserie or cocktails on the Terrace, our aim is to create an enjoyable and memorable experience with plenty of choice, fantastic service and quality that guests can depend on.